Design Architect: HKS is the managing partner of a three-way joint venture with Corgan and Fitzgerald Collaborative Group. To update and modernize a busy hub airport to increase comfort and amenities for more than 100 million passengers each year, without interrupting airport and airline operations. 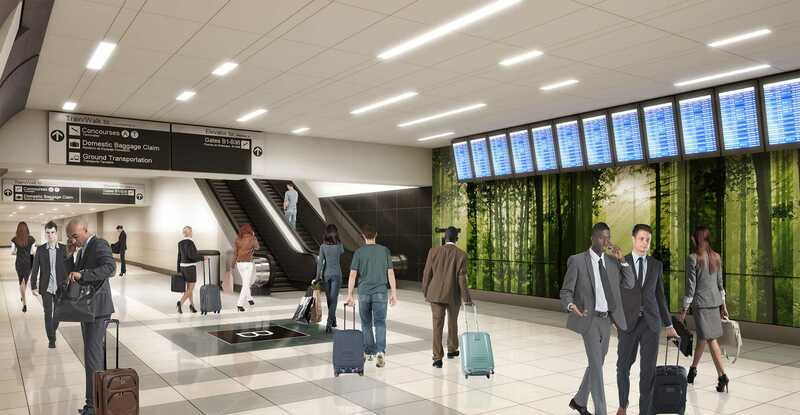 ATL’s Airside Modernization program refreshes and reconfigures 120 existing passenger holdrooms on four concourses, redesigns the central retail nodes, and renovates the underground pedestrian connections and automated train stations. New holdroom ceilings slope upward to embrace a curtainwall system that doubles the previous amount of perimeter glazing, creating light and airy interior volumes with clear views to the active tarmac. 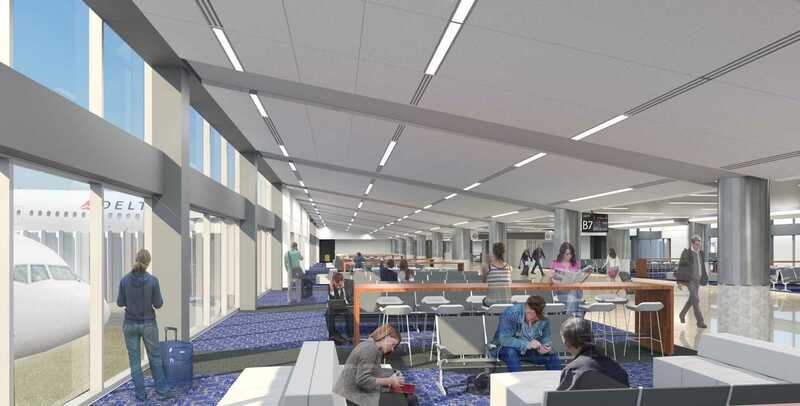 Natural daylighting floods the passenger waiting and boarding spaces all the way to the central circulation corridors, which also boast new ceilings, fresh finishes, modern lighting and a clear pathway to updated amenities, including retail, food and beverage. The project’s phased construction occurred after hours and involved just four gates at a time to allow continuous, rapid progress while keeping all gates fully operational for the project’s duration. 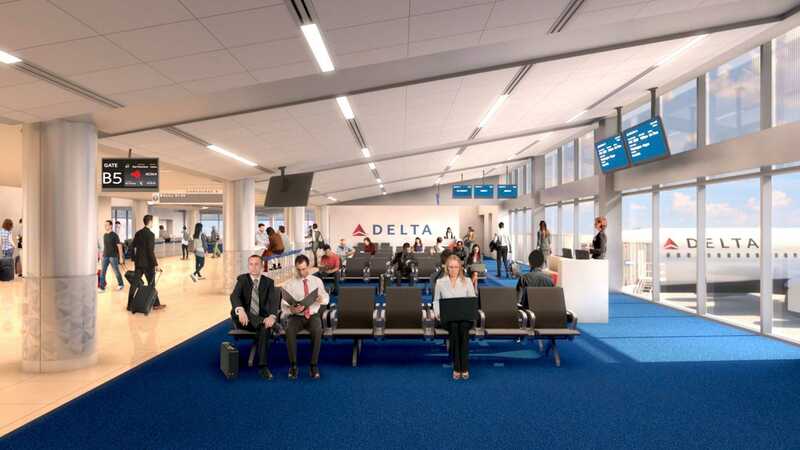 The Airside Modernization Program is part of ATLNext, a 10-year, $6-billion capital improvement program designed to benefit travelers, the city of Atlanta and airline operators well into the 21st century. The Airside Modernization program impacts the passengers in areas where they spend the most time, dramatically improving the travel experience on the concourses of ATL, the world’s busiest passenger airport.